Kids will be kids, and if you’re a parent, you probably know all too well how often children become sick or get hurt when they are younger. Most of the time, a little TLC is all it takes for your child to bounce back from his or her ailment, however, there are times when a visit to a medical professional is warranted. In today’s post, we’ll review four pediatric dental emergencies you should never ignore and how you can help your child recover as quickly as possible. 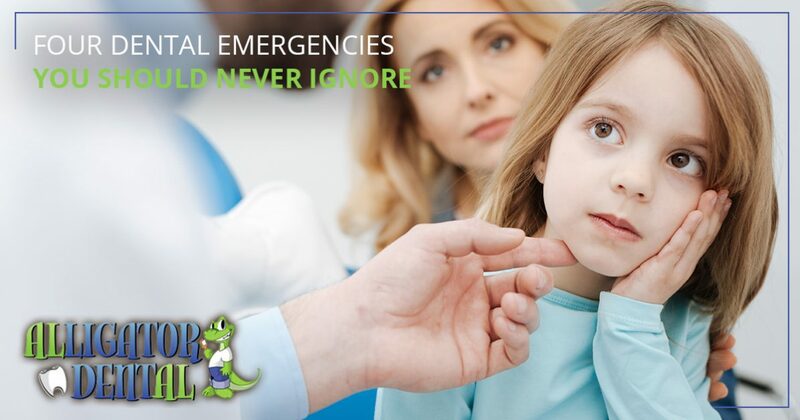 At Alligator Dental, we have an emergency dental clinic in Seguin for kids with Early Bird appointments to accommodate urgent care between the hours of 7:30 am and 10:00 am on regular operating days. Contact our team today to learn more and schedule an appointment. 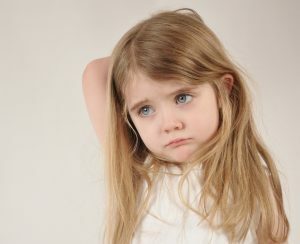 When children complain about a toothache, many parents become anxious because the cause of the pain often cannot be seen. There are many reasons why your child’s tooth might hurt, including sensitivity to hot or cold, a developing cavity, or an impacted tooth. While it might be tempting to wait it out and see if the toothache resolves itself, it is best to get your child to the dentist as soon as possible to confirm the cause of the pain. If you are unable to get into the dentist right away, there are a few things you can do at home to help make your child more comfortable. To ensure there are no food particles or foreign objects causing the problem, gently clean the area around the problem tooth and have your child rinse his or her mouth with warm salt water. You may also gently floss around the tooth, and if your child has facial swelling near the toothache, a cold compress can help reduce inflammation. Appearance: Cold sores are fluid-filled blisters or crusty sores on the outside of the mouth. Canker sores are round white sores with red halos inside of the mouth. Cause: Cold sores are caused by the HSC-1 virus. Canker sores may be caused by many things, such as stress, oral abrasions, or a reaction to toothpaste ingredients. The best way to receive a proper diagnosis for your child is to make an appointment with a pediatric dentist. If the sore is inside of your child’s mouth and you suspect it is a canker sore, a warm salt water rinse can speed healing. If you are unsure, your local children’s dentist in Seguin has Early Bird appointments available in our emergency dental clinic. Contact us at 830-372-3725 right away. Some children who complain of oral pain may have some type of gum boil or a dental abscess inside of their mouths. Used to describe gum tissue overgrowth or different kinds of swelling inside of the mouth, gum boils may be soft and fluid-filled, or they may be composed of firm gum tissue. There are many causes of boils, including an adverse reaction to medication dental abscesses due to decay and/or infection, and periodontal disease. If you suspect your child’s boil or abscess is related to an infected tooth, it is important to get him or her into a pediatric emergency dental clinic as soon as possible. When a baby tooth is infected, the decay and infection could cause the permanent tooth bud from getting infected. In most cases, antibiotics and extraction of the infected tooth are recommended. Pediatric tooth injuries can happen for multiple reasons: unsteady toddlers who are just learning to walk may take a tumble or your middle schooler may get knocked in the mouth during a sporting event. Unfortunately, if your child is suffering from a broken or fractured tooth, you may or may not be immediately aware of the problem. This is because small fractures can be very difficult to see. However, if your child has a chipped or broken tooth, he or she will likely be in some pain and you’ll probably be able to see the affected tooth. Thankfully, the reputable children’s dentists in Seguin have a solution for every type of tooth injury. Regardless of how minor the fracture appears to be, it is critical to get an appointment with one of our children’s dentists immediately to ensure the health of the permanent tooth below the fractured one is not compromised. Treatment may be as simple as cosmetic bonding, or the tooth may need to be extracted. If your child is suffering from a toothache, or you are concerned that he or she has a cold sore, abscess, or fractured tooth, contact the leading children’s dentist in Seguin right away. We are more than happy to speak with you about your concerns and schedule an appointment for your child. We look forward to helping you!